Includes one table; logo included as sponsor in all pre-event promotions and day of event. 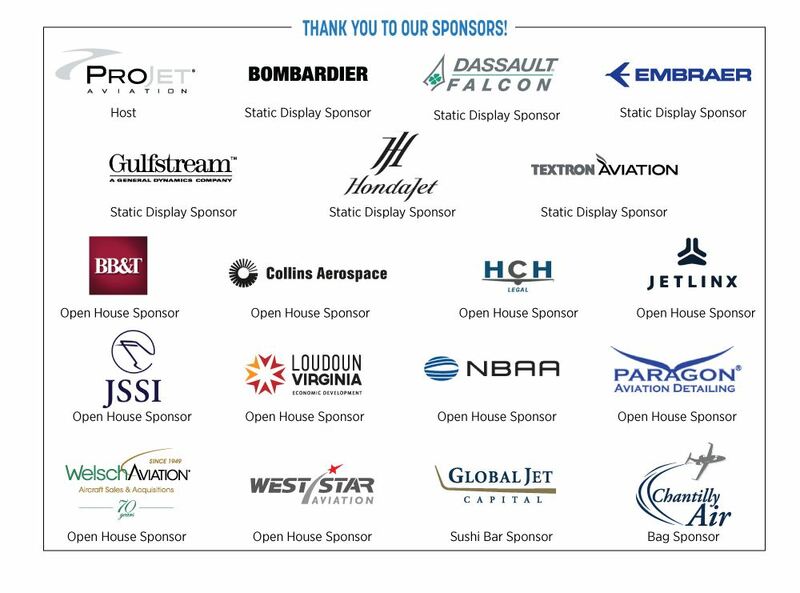 GWBAA Open House and Static Display was hosted by Projet Aviation and had nearly 300 attendees. Static Display Aircraft Tours from Bombardier Aerospace, Dassault Aviation, Embraer S.A., Gulfstream Aerospace, HondaJet and Textron Aviation. Guests enjoyed some of the best Loudoun County has to offer with a speciality selection of beer, cider and wine from Vanish Farmwoods Brewery and select dishes from Passion Fin as well as a stand alone sushi bar with fresh sushi made on site.